On my blog I do have quite a few entries [at least about 10] with many links about the advantages of playing chess. Some are similar/the same to these from Susan’s website [see link at the bottom of this entry] and some have more links to research that was done by various people. We all agree on the same thing: Chess helps your child! Read and decide for yourself. [you can also search my blog for my own entries with search terms like: ‘benefits of chess’ or ‘research chess’ etc.] If you can’t find my entries, feel free to leave me a shout and I can easily leave the links for you too. When it comes to their children, parents are often on the lookout for any form of activity that will allow them to grow in a holistic manner. When schools open their doors, extra-curricular activities are generally centered on outdoor sports, public speaking, music, debate and the like. Games such as chess were relegated to the background because one wasn’t sure how this could actually help in the growth of the child, intellectually as well as physically. If you are to delve into the details of the game, you will see that chess is a game of strategy. The fact that every piece on the board has a unique form of movement and is a part of the whole, makes the game complex. Introducing a child to chess allows the child to recognise complexity. There are numerous ways in which the pieces can be moved, and analysing each move enhances the child’s mathematical as well as analytical capabilities. In fact, children who play chess are able to solve mathematical problems mentally instead of using a calculator to do so. The same goes for the influence of chess on the understanding of science. Going forward, when faced with complex exams like the CAT, GRE and IELTS, a child will be in a better position. Chess is one game that teaches a child patience and willpower. It improves a child’s ability to interact with his opponent albeit in a silent way. This enhances confidence as well as self esteem and makes one a good listener. Listening can go a long way in improving interpersonal skills and help in business negotiations. An important feature one will learn in chess is the ability to judge body language. Being able to read expressions when a game is in progress is what will help one plan in advance. This, while applicable to the moves on the chess board are equally important in one’s life. Being able to anticipate issues will allow you to plan in advance and this will hold you in good stead no matter what situation you are faced with. Planning ahead has some great rewards, while lack of planning can result in a check mate. Chess involves several numerical combinations. Unlike any other game chess is one where there are numerous ways to reach the end result. Each game is different and there are several numerical possibilities to a strategy. Having to deal with this will develop a scientific way of thinking which is very essential when faced with multiple solutions to a problem. Being able to quickly analyse the effects of each move is what will enhance a child’s mental ability. Chess has also proven its ability to calm aggressive children. The need to sit still in one place and concentrate on the board has brought a calming effect on a number of children. This has allowed them to grown into calmer individuals with a stable head on their shoulders. Looking at things from the health perspective, chess also helps students who may have sustained certain physical disabilities from birth or by accident. Because of the movement of pieces in the left, right, forward, backward and diagonal ways, fine motor skills are developed. Chess is also a game of experience. If you want to win successive games, you will have to learn from your earlier mistakes. This means remembering all the moves you made. Memory is another thing that chess helps improve. Chess has also proven capabilities of calming frayed nerves and therefore is also used extensively as recreational therapy. One’s attention span as well as observation powers are highly sensitised with the game. In order to understand how your opponent is going to play, you need to watch and remember his or her moves and try and find a pattern in it. This is where cognitive skills are enhanced and improved on. Chess has a number of benefits that may not be as easily perceived as the physical advantages of football and cricket. Its effects are subjective and one that can be observed over a period of time. Introducing children to the game at a young age will allow them to grasp and understand the nuances of the game much earlier on. You will be doing them a favour in the long run. What are the benefits in chess? Chess is a game for people of all ages. You can learn to play at any age and in chess, unlike in many other sports, you don’t ever have to retire. Age is also not a factor when you’re looking for an opponent-young can play old and old can play young. Chess develops memory. The chess theory is complicated and many players memorize different opening variations. You will also learn to recognize various patterns and remember lengthy variations. Chess improves concentration. During the game you are focused on only one main goal-to checkmate and become the victor. § Chess promotes imagination and creativity. It encourages you to be inventive. There are an indefinite amount of beautiful combinations yet to be constructed. § Chess teaches independence. You are forced to make important decisions influenced only by your own judgment. § Chess develops the capability to predict and foresee consequences of actions. It teaches you to look both ways before crossing the street. § Chess inspires self-motivation. It encourages the search of the best move, the best plan, and the most beautiful continuation out of the endless possibilities. It encourages the everlasting aim towards progress, always steering to ignite the flame of victory. § Chess and Science. Chess develops the scientific way of thinking. While playing, you generate numerous variations in your mind. You explore new ideas, try to predict their outcomes and interpret surprising revelations. You decide on a hypothesis, and then you make your move and test it. § Chess and Technology. What do chess players do during the game? Just like computers they engage in a search for the better move in a limited amount of time. What are you doing right now? You are using a computer as a tool for learning. § Chess and Mathematics. You don’t have to be a genius to figure this one out. Chess involves an infinite number of calculations, anything from counting the number of attackers and defenders in the event of a simple exchange to calculating lengthy continuations. And you use your head to calculate, not some little machine. § Chess and Research. There are millions of chess resources out there for every aspect of the game. You can even collect your own chess library. In life, is it important to know how to find, organize and use boundless amounts of information. Chess gives you a perfect example and opportunity to do just that. § Chess and Art. In the Great Soviet Encyclopedia chess is defined as “an art appearing in the form of a game.” If you thought you could never be an artist, chess proves you wrong. Chess enables the artist hiding within you to come out. Your imagination will run wild with endless possibilities on the 64 squares. You will paint pictures in your mind of ideal positions and perfect outposts for your soldiers. 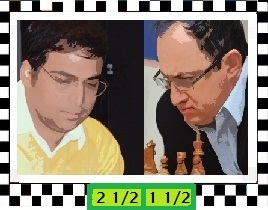 As a chess artist you will have an original style and personality. § Chess and Psychology. Chess is a test of patience, nerves, will power and concentration. It enhances your ability to interact with other people. It tests your sportsmanship in a competitive environment. § Chess improves schoolwork and grades. Numerous studies have proven that kids obtain a higher reading level, math level and a greater learning ability overall as a result of playing chess. For all those reasons mentioned above and more, chess playing kids do better at school and therefore have a better chance to succeed in life. § Chess opens up the world for you. You don’t need to be a high ranked player to enter big important competitions. Even tournaments such as the US Open and the World Open welcome players of all strengths. Chess provides you with plenty of opportunities to travel not only all around the country but also around the world. Chess is a universal language and you can communicate with anyone over the checkered plain. § Chess enables you to meet many interesting people. You will make life-long friendships with people you meet through chess. § Chess is cheap. You don’t need big fancy equipment to play chess. In fact, all you may need is your computer! (And we really hope you have one of those, or else something fishy is going on here.) It is also good to have a chess set at home to practice with family members, to take to a friend’s house or even to your local neighborhood park to get everyone interested in the game. § CHESS IS FUN! Dude, this isn’t just another one of those board games. No chess game ever repeats itself, which means you create more and more new ideas each game. It never gets boring. You always have so much to look forward to. Every game you are the general of an army and you alone decide the destiny of your soldiers. You can sacrifice them, trade them, pin them, fork them, lose them, defend them, or order them to break through any barriers and surround the enemy king. You’ve got the power! To summarize everything in three little words-Chess is Everything! Should chess be taught in school? It is an ancient game which was once used to teach young knights and princes about military strategy. But should every child in Britain be expected to learn chess, while they are still at primary school? There is growing support for the idea of putting the game on the national curriculum. Tim Muffett reports from a primary school in Birmingham. Forget cutting-edge video and computer games. Some elementary school students in Frederick County are getting hooked on a board game that was created more than 1,400 years ago. Chess, which has captivated millions of people across the world for centuries, is now getting a foothold among a growing number of Frederick County elementary school students. At Lincoln Elementary, an after-school chess team meets Wednesdays, and at least 16 students in second through fifth grade spend hours hunched over their chess boards, perfecting their moves, honing their strategies, and learning to think ahead of their opponents. Dressed in the chess club’s blue T-shirts, which display their victories over opponents from other schools, students take pride in the game, and are always ready to learn new tips and tricks to help them win with fewer moves. The chess team at Lincoln Elementary grew out of a small recess program that started seven years ago. But the game took off among students, who started teaching their classmates and whipping out chessboards in the cafeteria after class. Today, the chess club draws in boys and girls of all academic skills, and Janet Manning, the team advisor, has to run a different program for students who are still learning the game. “We start from as young as kindergarten,” Manning said. Lincoln Elementary, however, is not alone, and some other elementary schools are seeing an increased interest in the brainy game, which according to some researchers can help students improve their academic performance. At North Frederick Elementary, which started a chess club in 2009, parents and volunteers are struggling to accommodate all students who want to play chess, though more than 150 students have participated in club activities and competitions. Yellow Springs Elementary also started a chess club last year with an initial enrollment of 45 students, said Gary Waguespack, the parent volunteer who coordinates the club. Based on the widespread interest, chess club organizers have united their efforts this year and created the countywide Frederick Scholastic Chess League. The organization aims to promote chess across the county, provide resources for school-based chess clubs, and for the first time allow students from different Frederick County schools to play in organized tournaments. “The idea now is to promote chess on a scholastic level,” said Waguespack, who started the league after he founded the chess club at his children’s school. “I realized that there wasn’t much going on with chess in the entire county,” he said. Though the league is in its developmental stages, it already includes chess teams from five schools:?Lincoln, North Frederick, Yellow Springs, Valley, and Monocacy Valley Montessori Public Charter School. Organizers at the league now are hoping that more schools would join in for the coming year. The league held its spring invitational competition in March, and will hold the first countywide chess tournament on June 1 at West Frederick Middle School. Waguespack has even more ambitious long-term goals for the league. He wants to bring chess to Frederick County middle and high schools, creating opportunities for more students to use chess to expand their thinking and exercise their analytical skills. Using chess as a scholastic tool is not a new idea, and Waguespack points to a number of chess proponents who argue that it can help improve students’ concentration, memory, analytical skills and even raise test scores. In nearly 30 countries around the world, chess is a mandatory part of school curriculum, and according to the American Chess Institute, a number of studies suggest that playing chess can be related to higher test scores for students. A study in Texas, for example, found that non-honors elementary students who participated in school chess clubs showed twice the improvement in reading and mathematics between third and fifth grades compared to non-chess players, according to the American Chess Institute. And in New Brunswick, Canada, when schools started using chess to teach logic in grades two through seven, the average problem solving scores of students increased from 62 percent to 81 percent, according to the American Chess Institute’s website. In Frederick County, scholastic chess is at its budding stages, but teachers, parents and volunteers agree that children benefit from the game. For Donna Scherer, a mother at Yellow Springs Elementary, there is no doubt that being in the chess club is helping her 9-year-old son Andrew learn sportsmanship, as well as problem-solving skills and analytical thinking. “He is in advanced math classes and I’ve seen improvement in his reading,” Scherer said. Andrew learned to play chess from his older brother at the age of 4, when Scherer’s family lived in Britain. There, it was not unusual for elementary schools to lay out chessboards even for students in pre-school, Scherer said. So when the chess club opened in his school, Andrew made Scherer sign him up immediately. Reina Farmer, another parent at Yellow Springs, agreed. Farmer said it is difficult to tell if her daughter Allison is getting good grades because of playing chess or the other way around. But she is confident in one thing – her daughter loves to play. At Lincoln Elementary, Manning has noticed that her top chess players are not always the top achievers in class. That is a great confidence booster, showing students that they can be leaders in different areas, Manning said. The game is also teaching students to take a defeat gracefully. But while they enjoy a good win, it is not uncommon to see the two opponents sitting together after the game trying to analyze their moves and figure out what led to the defeat. And for Manning’s students, there is no doubt that playing chess is exercising their brains. “Chess is a strategy game,” said Bernadette Jones, a Lincoln Elementary fourth-grader who has been on the school chess team for two years. “You learn to think ahead,” she said. Joey Haufe, 7, and Nate Baugher, 9, sat at opposing ends of a chess board on a recent Friday at Anchorage Public School. Joey was winning and concentrating deeply on how to finish off the game. “He sacrificed his queen,” Joey said, explaining how he’d pulled ahead. The two are members of the school’s chess club, which competes regularly in area tournaments and meets every Friday for practice. The club, now in its fourth year, has grown from a handful of students to about 30, and some are competing well at the state level. The club’s kindergarten team recently took fourth in the Kentucky State Championships this March, and two first-graders placed third and fifth. Anchorage’s club is reflective of a larger, resurging scholastic interest in chess, as research shows it can improve academic performance. Emir Sefo, of Old Dorsey Place, coaches Anchorage’s chess club and similar clubs at other area schools through his business, Kentucky Scholastic Chess Center. He said there are about 35 to 40 schools in Jefferson County that offer chess. Most, like Anchorage, offer the classic strategy board game as an extra-curricular activity or club. Jefferson County Public Schools has a chess course for credit at two schools — Carrithers Middle and Valley High. Sefo, who grew up playing chess in his native Bosnia, said it builds strategizing and problem-solving skills, which translate well to subjects like math and geometry. 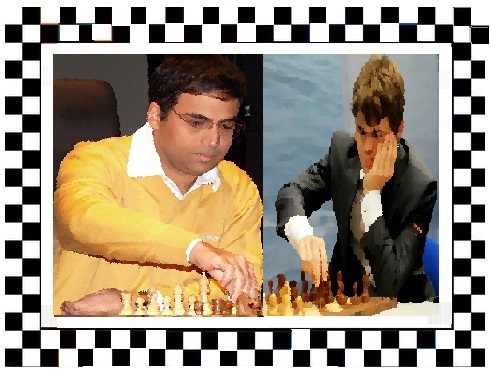 Studies have documented improved academic performance of students who play chess compared with their non-playing peers. Frequently cited is a study of elementary students in New York City’s Bronx district, where most students were below the national average academically but chess players’ reading skills improved dramatically. Joey’s father, Rick Haufe, said chess is something his son enjoys that’s good for him. Phillip Kash, who has three children in the Anchorage chess club, said he also thinks playing chess has benefits. “There’s the discipline it takes to concentrate on a game and to think ahead,” he said. Tanya Gupta, 11, said she first joined the chess club because her parents made her. “Now I’m enjoying it,” she said. She said she thinks it has helped sharpen her concentration. This is her first year, so she isn’t as experienced as some of the other players, she said, but she likes the feeling of improving. “It makes me feel good about myself because I’m pretty good at something that I just started,” she said. Yes! Chess, the addictive board game, forms a part of the curriculum at the Green Wood High School, Bangalore. Being the first in the city to take this step, the school authorities believe that chess practised from a young age as a sport or a favourite pastime cultivates good habits among students. It not only helps them gain expertise in the game, but also guides them for a better, brighter, and quality life. “Chess has been a part of our school curriculum for seven years. Since chess is an indoor game and does not require much equipment, it is easy to incorporate it into the curriculum. It helps students immensely,” said Niru Agarwal, director of the school. Learning chess is compulsory for students of nursery to Class VII, while students of Class VIII to X can learn it by choice. Highly-qualified chess tutors, who are a part of the teaching staff, teach chess at the school. It is taught like any other subject, with 3-4 classes a week for all grades. “Chess improves a child’s logical reasoning, patience, concentration power and mathematical ability. It also induces competitive spirit as students try to outplay one another, and enhances their decision-making ability,” Agarwal said, when asked how the game contributes in improving children’s cognitive skills. “Our students have won many prizes at inter-school and state-level championships. This has boosted their confidence and the students are responding brilliantly to this initiative. Parents are also very happy,” she added. “Children have the unique ability of learning things quickly and grasping them. Once a child is taught the basics of chess and encouraged to play, they develop an interest for the game and will only better themselves. In their pursuit to learn more about the intricacies of the game, they would be anxious to read more about the grandmasters, the different types of games, tactics and strategies and in the process, they cultivate the habit of reading,” said Santosh Desai, of Green Wood High School. The game of chess is part of compulsory school curriculum in countries like Russia. In India, Gujarat has incorporated chess into the state school curriculum. 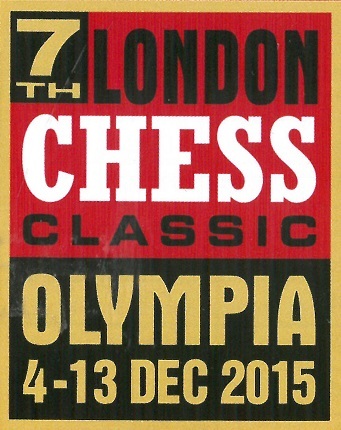 Chess, with each passing day is gaining more prominence as a sport globally. Moreover, the trend of incorporating it into school curriculum is expected to catch on in the coming days. Should all kids be forced to play chess? Armenia is making the game mandatory for schoolchildren. Will that make them smarter? Armenia has come up with a novel approach to school reform — it’s making chess lessons mandatory for all students age 6 and older. A spokesman for the country’s education ministry says compulsory lessons will “foster school children’s intellectual development” and improve their critical thinking skills. The government also hopes that its $1.5 million investment will help the tiny nation of 3.2 million become a “chess superpower.” Is forcing kids to play chess really a good way to help them learn? Absolutely, chess teaches kids how to think: Chess strengthens the mind, says psychology professor Mark Sabbagh in Canada’s National Post. Teaching the game in schools will force students to learn “planning, thinking ahead, imagining the strategies of another person.” These skills give kids the ability to act on reflection, not just impulse, which is a gift that will help them succeed in life. Chess is no silver bullet… but it might just help: At a time when technology is whittling away at our attention spans, says Education Stormfront, “being able to focus on a problem and to be able to creatively solve it” is an increasingly rare skill. “I’m not saying chess is the answer,” but if it helps today’s frazzled, multitasking children learn to concentrate, maybe schools in the U.S. should give it a try, too. Every child aged six or over in Armenia is now destined to learn chess. The authorities there believe compulsory lessons will “foster schoolchildren’s intellectual development” and improve critical thinking skills. Now the chess-mad country is investing nearly $1.5m (£920,000) to teach all of its children. But for other countries constantly strategising about how to boost child development and education, is making study of the Sicilian and the Queen’s Gambit a good idea? Proponents of chess in schools do claim some evidence. A two-year study conducted in the US by Dr Stuart Marguilies found that learning chess improved reading test scores and reading performance in elementary schools. “Not only does it give children good thinking skills and improve concentration, memory and calculation, but it teaches children to take responsibility for their actions. “Someone who is four can play someone who is 104, someone that can’t walk around can play a top class athlete. Sometimes children that have been overlooked in other ways – maybe the quietest or physically smallest child in class – could be the best. Pein is a big supporter of chess being made compulsory at school and recently made a submission to the government’s National Curriculum review. It recommended that one class of chess – “or other thinking games like bingo” – is made mandatory every week for children in Year 2 (aged six) or 3 (aged seven). English grandmaster and Times chess correspondent Raymond Keene agrees with targeting six-year-olds at primary school – and not just because he thinks it is the optimum time to catch children with the potential to make it big. “Chess draws from brain power, not experience – it’s not like writing an epic. So if a child is good at six, they could be a grandmaster by the time they are 12,” he enthuses. He says “chess is a very addictive process, a positive drug for children”. Even when it is played online, it is much better than video games or television, he adds. “There are plenty of other things that could benefit from being compulsory too, I wonder whether it would be appropriate,” he says. Chess players may be convinced of chess’ credentials, but could education experts be persuaded? “I’m a great believer in knowledge acquisition – and chess is obviously a skill – so I can understand why it would be a good thing to teach children. My question is, what would you lose instead? Chris Woodhead, the former chief inspector of schools in England, says providing chess in schools – either through clubs or classes – could be helpful, but compulsory classes are not the way forward. “I’m not sure whether it would have a beneficial impact, but chess is an activity many people find intriguing and satisfying, so it’s got to be a good to have the option,” he says. Russell Hobby, the general secretary of The National Association of Head Teachers says fostering strategic thinking is an essential employability skill. But he can’t support the idea of mandatory chess. How this classic game of strategy makes kids smarter. This is the Dalton School, a private academy in New York City, which has one of the country’s first — and best — chess programs. Its director, Svetozar Jovanovic, started the program 18 years ago, and today all the school’s students begin chess instruction in kindergarten. Those who remain interested after first grade join Dalton’s after-school Chess Academy, whose team regularly wins local and national championships. Barely three miles uptown, a classroom of equally attentive kindergartners is also transfixed by a vinyl chessboard. These are students at P.S. 194, a public school in Harlem. There, Nikki Church, an instructor from Chess-in-the-Schools, a New York City-based nonprofit organization, is greeted with applause at her weekly visit. “Let’s put on our chess faces,” Church says, helping kids find the calm they’ll need to play. The students watch the board, and each time they see a piece captured, they shout, “Splat!” This school, too, has a winning chess team — the Renaissance Warriors. What the elite private academy and the inner-city public school both know is that “Chess makes you smart,” a slogan of the U.S. 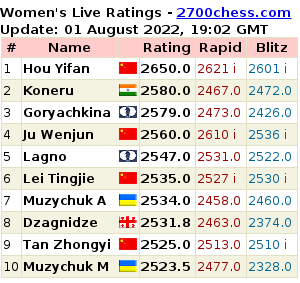 Chess Federation (USCF). A growing body of research is showing that chess improves kids’ thinking and problem-solving skills as well as their math and reading test scores. Accordingly, communities across the country are racing to create after-school chess programs and start local chess clubs, and some states — New Jersey, for one — have written chess into official school curricula. The USCF has seen the number of scholastic members ages 14 and under soar in the last decade, from just over 3,000 in 1990 to more than 35,000 today. The game’s image is changing too: It’s going from geeky to groovy, thanks in part to pop-culture icons like rock star Sting and New York Knicks forward Larry Johnson, who boast of their chess prowess in interviews. Schools that encourage chess are reacting to studies like that of New York City-based educational psychologist Stuart Margulies, Ph.D., who in 1996 found that elementary school students in Los Angeles and New York who played chess scored approximately 10 percentage points higher on reading tests than their peers who didn’t play. James M. Liptrap, a teacher and chess sponsor at Klein High School in Spring, TX, conducted a similar study in 1997. He found that fifth-graders who played chess scored 4.3 points higher on state reading assessments and 6.4 points higher on math tests than their non-chess-playing peers. Further proof comes from the doctoral dissertation of Robert Ferguson, executive director of the American Chess School in Bradford, PA. He studied junior-high students, each of whom was enrolled in an activity — either working with computers, playing chess, taking a creative writing workshop, or playing Dungeons and Dragons — that was designed to develop critical and creative thinking skills. By the time the students had spent about 60 hours on their chosen activities, the chess players were well ahead of the others in several psychological tests, scoring almost 13 percentage points higher in critical thinking and 35 percentage points higher in creative thinking. 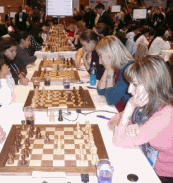 Experts attribute chess players’ higher scores to the rigorous workout chess gives the brain. Studies by Dianne Horgan, Ph.D., dean of the graduate school of counseling, educational psychology, and research at the University of Memphis, has found that chess improves a child’s visual memory, attention span, and spatial-reasoning ability. And because it requires players to make a series of decisions, each move helps kids learn to plan ahead, evaluate alternatives, and use logic to make sound choices. Science aside, anecdotal evidence is enough to convince some teachers and parents of chess’s benefits — behavioral as well as cognitive. In 1990, for instance, the principal at Russell Elementary School in Brownsville, TX, had become concerned about some boys who were being dropped off at school early and getting into mischief. But when she visited J. J. Guajardo’s fifth-grade classroom one day, she was surprised to see some of those boys quietly engrossed in chess games. So she asked Guajardo to start a before-school chess program. Soon kids from kindergarten through sixth grade had signed up to play, and by 1993 the Russell team was winning state championships. While some children will be ready to learn the game by age 4, the consensus among chess teachers seems to be that second grade — meaning age 7 or 8 — is the ideal time to start. “I’ve had mixed results when teaching kindergartners and first-graders, but by second grade, they’re all ready,” says Tom Brownscombe, scholastic director of the U.S. Chess Federation. The key to making chess fun, say the instructors, is how you teach the game. Dalton’s Jovanovic spices his lessons with all kinds of cultural and literary references as well as dramatic battles between chess pieces. At P.S. 194, Church’s students take breaks from learning game strategy to design their own chess pieces with crayons and paper. They get up from their seats to perform dances that help them remember moves: In the Rook Dance, for example, kids move up, down, and side to side. And Yakov Hirsch, a Chess-in-the-Schools instructor who teaches in New York City’s Chinatown, enlivens his instruction with banter designed to make the kids giggle. “The king is naked!” he exclaims, showing an unprotected monarch. “The pawns were the king’s clothing, and the white queen took them away,” he explains as the class dissolves in general second-grade hilarity. The lesson is about when to let a piece to be captured — a “sacrifice” — instead of losing it because of bad moves. For parents who still aren’t convinced, consider that a child who’s playing chess is sitting quietly and concentrating, not needing to be entertained by anything loud, violent, or silly. I discovered this benefit firsthand on a flight home from Paris with my son last summer. Though my bag was filled with books and toys, I dreaded trying to keep a squirmy 5-year-old occupied for seven hours. Shortly after takeoff, a fellow passenger — an older man — walked down the aisle with a portable chess set. “Chess, anyone?” he inquired. No one took him up on his offer, so I nudged Daniel. “Would you like to play?” I asked. Daniel bounded over to the man’s seat. The gentleman turned out to be a retired high school teacher who had coached his school’s chess team. He and Daniel played for hours, with my son returning to his seat only when the “fasten seat belts” sign lit up. As for me, I actually got to relax and read the book I’d optimistically carried aboard — a first for me when traveling with my son. I really love this game! Cohen, Robyn. Chess is fast track to brainier kids. Russell, Deb. Chess and Math? Expert Performance and Deliberate Practice. An updated excerpt from Ericsson (2000). Why chess is important in education? During the 1995-1996 school year, two classrooms were selected in each of five schools. Students (N = 112) were given instruction in chess and reasoning in one classroom in each school. Pupils in the chess program obtained significantly higher reading scores at the end of the year. It should be noted that while students in the chess group took chess lessons, the control group (N = 127) had additional classroom instruction in basic education. The control group teacher was free to use the “chess period” any way he/she wanted, but the period was usually used for reading, math or social studies instruction. 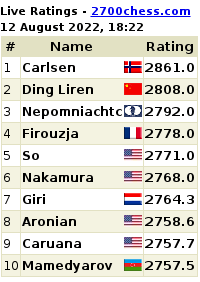 The control groups thus had more reading instruction than the chess groups. Researchers and educators have questioned what causes this growth. The Venezuelan study claimed: “Chess develops a new form of thinking, and this exercise is what contributes to increase the intelligence quotient.”  More recent researchers speculate that it is the growth of new synaptic connections. Chess promotes the growth of dendrites! Several articles discuss chess as a tool to assist children of all levels. Andrew Rozsa, psychologist, speaking of his gifted son: “He has had real social and behavioral difficulties since he was 18 months old… He was thrown out of several schools… Things became pretty bad at about age 9 … Nothing seemed to work, nothing. … Today he is a straight A student and his behavior problems are minimal (but not trivial). … Sorry, no control subjects, no double blind, no defined independent variables (actually there are two: chess and age). Because of the overwhelming research demonstrating the benefits of chess and because of the brain research theorizing the growth of dendrites, chess should be integrated into the school curriculum at the primary level. Chess is a new way of solving the old problem of poor education. From the streets of Harlem to Venezuela’s public schools the sport of kings has been implemented as an effective tool for teaching students to utilize their higher order thinking skills and to strive to overcome personal problems to reach their full potential. 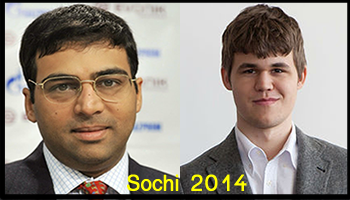 In light of these facts it is not unreasonable to imagine chess as a broader part of schools in America. Chess could very well be one of the missing components for America to regain its place at the top for educating its young people. Chess is a game for people of all ages. You can learn to play at any age and in chess, unlike in many other sports, you don’t ever have to retire. Age is also not a factor when you’re looking for an opponent –young can play old and old can play young. Robert Ferguson, “Chess in Education Research Summary,” paper presented at the Chess in Education A Wise Move Conference at the Borough of Manhattan Community College, January 12-13,1995. Albert Frank, “Chess and Aptitudes,” doctoral dissertation, 1974, Trans. Stanley Epstein. Johan Christiaen, “Chess and Cognitive Development,” doctoral dissertation, 1976, Trans. Stanley Epstein. Donna Nurse, “Chess & Math Add Up,” Teach, May/June 1995, p. 15, cites Yee Wang Fung’s research at the Chinese University of Hong Kong. Robert Ferguson, “Teaching the Fourth R (Reasoning) through Chess,” School Mates, 1(1), 1983, p. 3. Robert Ferguson, “Developing Critical and Creative Thinking through Chess,” report on ESEA Title IV-C project presented at the annual conference of the Pennsylvania Association for Gifted Education, Pittsburgh, Pennsylvania, April 11-12, 1986. Robert Ferguson, “Teaching the Fourth R (Reflective Reasoning) through Chess,” doctoral dissertation, 1994. Isaac Linder, “Chess, a Subject Taught at School,” Sputnik: Digest of the Soviet Press, June 1990, pp. 164-166. Rafael Tudela, “Learning to Think Project,” Commission for Chess in Schools, 1984, Annex pp. 1-2. Rafael Tudela, “Intelligence and Chess,” 1984. William Levy, “Utilizing Chess to Promote Self-Esteem in Perceptually Impaired Students,” a governor’s teacher grant program through the New Jersey State Department of Education, 1987. Robert Ferguson, “Tri-State Area School Pilot Project Findings,” 1986. Robert Ferguson, “Development of Reasoning and Memory through Chess,” 1988. Stuart Margulies, “The Effect of Chess on Reading Scores: District Nine Chess Program Second Year Report,” 1992. 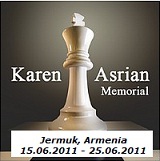 Chess-in-the-Schools, Web page at http://www.symbolic.com/chess/chsgym.htm. Philip Rifner, “Playing Chess: A Study of Problem-Solving Skills in Students with Average and Above Average Intelligence,” doctoral dissertation, 1992. Stuart Margulies, “The Effect of Chess on Reading Scores,” 1996. James Liptrap, “Chess and Standardized Test Scores,” Chess Coach Newsletter, Spring 1999, Volume 11 (1), pp. 5 & 7. L.E. Allen & D.B. Main, “Effect of Instructional Gaming on Absenteeism: the First Step,” The Journal for Research in Mathematics Education, 1976, 7 (2), p. 114. Naciso Rabell Mendez, “Report by the World Chess Federation (FIDE) to the United Nations Organization (UNO),” June 1988, quotes Dr. Klaus’ comments. Kathleen Vail, “Check This, Mate: Chess Moves Kids,” The American School Board Journal, September 1995, pp. 38-40. Yasser Seirawan, “Scholastic Chess — Feel the Buzz,” Inside Chess, February 21, 1994, p. 3. Roger Langen, “Putting a Check to Poor Math Results,” The Reporter, December 1992. Dr. Fred Loveland personal communication. Chess Improves Academic Performance, Christine Palm, 1990. Personal letter from Dr. Calvin F. Deyermond, Assistant Superintendent for Curriculum and Instruction for the North Tonawanda City School District. Personal letter to Allen Kaufman from Principal Cheryl Coles, June 9, 1995. Carol Chmelynski, “Chess said to promote school performance and self-esteem,” School Board News, July 6, 1993, Vol. 13 (12), pp. 7-8. San Jose Mercury News, 4-3-96. Jo Coudert, “From Street Kids to Royal Knights,” Readers Digest, June 1989. “Editorial: Chess gives hope for our youth,” The Saratogian, March 12, 1991. Arman Tajarobi, e-mail from December, 1996. Andrew J. Rozsa, Birmingham, Alabama, Newsgroup e-mail. Harriet Geithmann, “Strobeck, Home of Chess,” The National Geographic Magazine, May 1931, pp. 637-652. “Check Mates,” Fairfield County Advocate, Mar. 20, 1989. Terrell Bell, Your Child’s Intellect, Englewood Cliffs, NJ: Prentice Hall, 1982, pp.178-179. Dan Edelman, “New Jersey Legislature Passes Chess Bill into Law,” Chess Coach Newsletter, Spring 1993, Vol. 6 (1), pp. 1 & 3. Alexander Taylor, “Chessmen Come to Life in Marostica,” The National Geographic Magazine, November 1956, pp. 658-668. Terrell Bell, Your Child’s Intellect, 1982, pp. 178-179. Scholar-Chessplayer Outstanding Achievement Award Applications. I am desperate. were can I find online help for my daughter, 15 and grade 9, for her learning disability that was only established now after we took her on our own to a profesional to be tested…not once during primary or grade 8 did any teacher approach us to do this due to the child having difficulties at school. The only reason we took her was due to a maths ongoing problem she had since grade 2, even that to them were normal. after testing with the clinical phsycologist she established that the child on a scale of 1-9, that she is on 1. why only now? We stay on KZN South Coast and believe me, to find profesionals here is very difficult. Do you have any contack info, preferably Afrikaans? Or where can a go for online help? thank you very much. Ek is jammer om te hoor van julle dogter. Dit is so jammer dat dinge op so ‘n laat stadium ontdek is. Ongelukkig het ek NIE kontaknommers van enige hulp in daardie area nie. Ek sou jou baie graag wou help om die Internet te “search” vir help in daardie area, maar ongelukkig is ek TOEGEGOOI onder allerlei skoolwerk en dinge. Het julle self ook nooit iets agtergekom en met die Onderwysers daaroor gepraat nie? As julle het, wat het Onderwysers gese? Probeer bietjie http://www.remspeced.co.za Ek sal bly wees as jy weer ‘n booskap hier los as jy hierlangs kom. Sterkte en ek hoop tog dat julle iewers gaan hulp kry, alhoewel graad 9 ‘n baie laat ouderdom is.